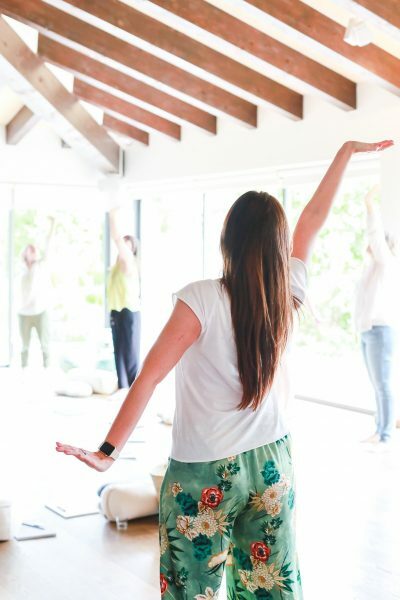 A thriving business with Yoga at its heart can be a joy to create and grow. Doing what you love and sharing this beautiful practice with your students is work that is much needed in our times and can be so rewarding for you as a teacher. It can also be daunting, particularly if you feel a little lost when it comes to the work of establishing a business and building a successful brand. So many people are waking up to the benefits and joy of Yoga now which is wonderful, there are also many people feeling called to teach. It means that as teachers, if we are to best serve our tribe and support ourselves, we need to be very clear about who we serve and what sets us apart. There is absolutely room for us all in this abundant and vibrant community when we each work with clarity, creativity and from a place of deep authenticity. Brand Foundations for Yoga Teachers is designed to empower you to create a yoga offering that is uniquely yours and enable you to attract the right students so you can better serve that tribe with clarity and ease. Whether you are still training to be a yoga teacher, have just qualified or have been teaching yoga for a little while, this highly practical and inspirational workshop is for you. It will provide you with a clear framework and the foundations for a brand and a business you can feel confident will grow and thrive as you do. Brand Foundations for Yoga Teachers will take you through a clear and simple process to get right to the heart of your unique approach to yoga and lay the foundations for your business with that at it’s core. We will explore your own journey and story and how that translates into your practice and the experience for your students. You will understand exactly what you need to create a brand that is inspiring, consistent, compelling and refreshingly authentic. No cookie cutter formulaic approach to teaching yoga or establishing your client base. An enlivening exploration of the possibilities when we give ourselves permission to be creative and do the work we dream of. Incredibly inspiring but heavily grounded - this for me is key. I needed inspiration time but very often that alone can create a 'buzz' that is a little 'flighty' - for me the combination of dream/inspire and strategy/action was key! ...You are an incredible facilitator and inspiration, thank you! Establish your brand values - those things that are most important and that provide a critical barometer when making decisions, especially those about the direction of your work and the aesthetics of your brand. Define the essence of your brand - what it is that makes you and your business unique and the key messages around that you can share to build trust, establish credibility and foster engagement with your tribe. Clarify your niche - Develop an intimate understanding of your tribe and those you can best serve. This lays the essential foundations for the right messaging, brand identity and offerings. Create a clear vision for your business that supports all aspects of your life, one that leaves room for the unfolding of the journey whilst giving you something clear to aim for. Shape a mission that moves you and will help your business grow. One that not only provides clear motivation and direction, but elevates your thinking and your commitment to realising your full potential. Name your business - understand the process for effectively naming your business to capture the essence of what you stand for and communicate that clearly. Formulate a plan - come away with clear next steps for realising your vision. Knowing where and how to get the resources and support you need to move forward with purpose. I just wanted to say you were epic!!! You have shared such energy, joy, humour, thoughtful answers to questions, knowledge, empowerment, care, clarity, thinking BIG with a room full of people ... just incase you don't already know it with every part of your being - you are awesome at what you do and I feel very lucky to have you in my corner! This is a one day workshop on Sunday 3rd February 2019, in Ickenham Scout Hall, Ruislip. We begin at 10 and end at 5 and the day will include yoga and meditation as we move through our subject, so bring your mat and clothes you can practice in. All refreshments and course materials are included in the cost of the workshop. In keeping with our yoga community tradition I invite you to bring a vegetarian or vegan dish to contribute to a lovely shared lunch. The nature of the venue and the shared lunch enables me to keep the cost for this workshop highly accessible. I offer it in the spirit of Yoga at a cost of £100 per person. To book your place use the link below, I look forward to welcoming you.